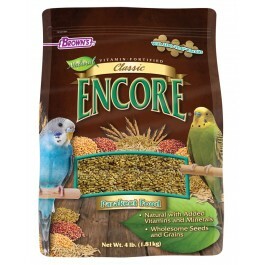 Our Encore® Classic Food is a wholesome, natural daily diet with vitamins and minerals, specifically formulated for parakeets. We've blended a variety of appealing flavors, textures and shapes to help relieve cage boredom and stimulate the natural foraging instinct. 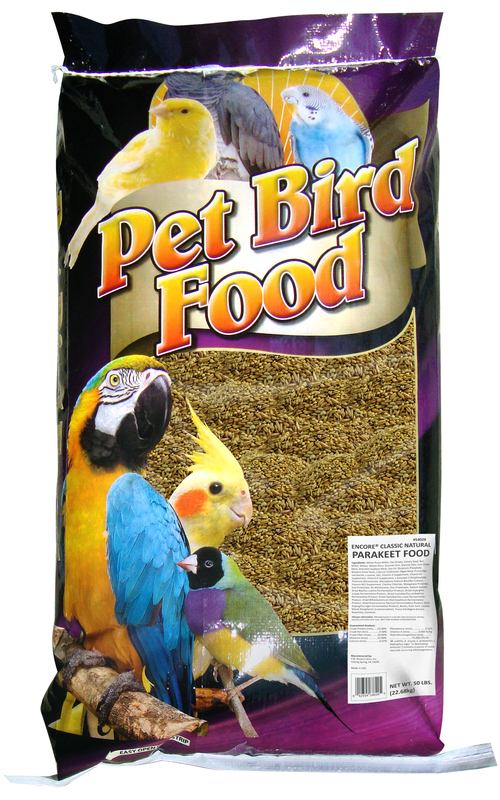 We're sure your parakeet will love our food. For many years, the Brown’s family has produced the finest parakeet foods available. 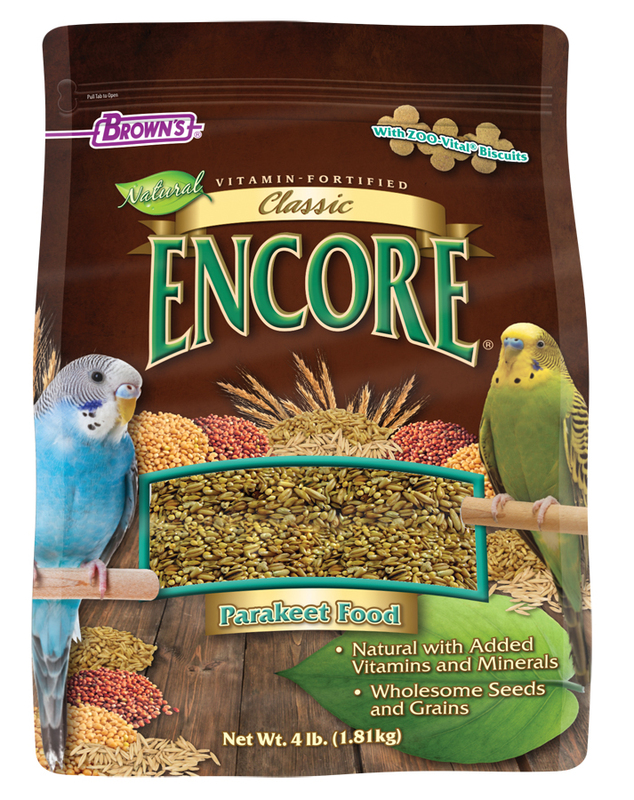 Our Encore® Classic Food is a wholesome, natural daily diet with vitamins and minerals, specifically formulated for parakeets. Plus, we’ve blended a wide variety of highly palatable appealing tastes, textures and shapes that help relieve cage boredom and stimulate the natural foraging instinct. 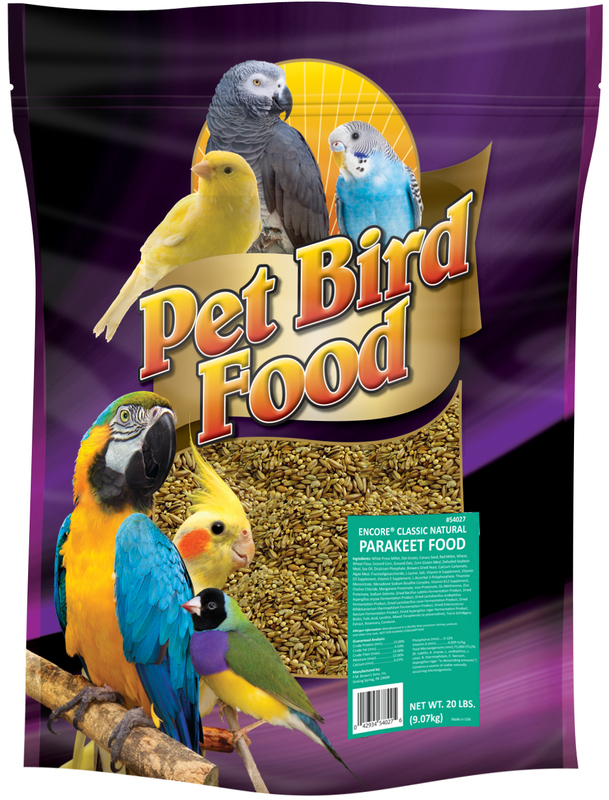 We’re sure your parakeet will love our food. It’s simply a natural fit! • Wholesome Seeds and Grains! • ZOO-Vital® Biscuits: The unique varieties of shapes, textures and biscuit densities provide needed exercise and stimulation. Each natural biscuit contains beneficial bacteria to help support good digestion, plus the vitamins and nutrients required for the overall well-being of your companion pet. 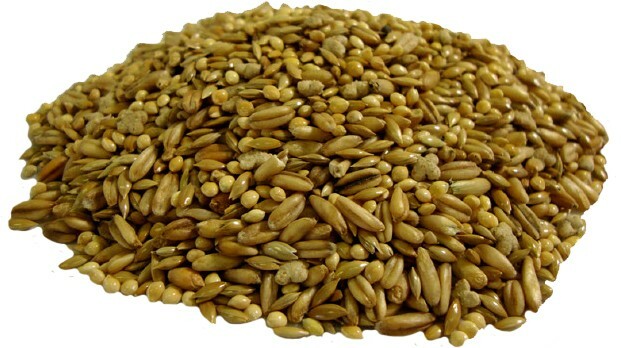 • Seeds & Grains: Excellent sources of complex carbohydrates, vitamins, minerals and fiber. Essential B vitamins support energy utilization and the growth process. White Proso Millet, Oat Groats, Canary Grass Seed, Red Millet, Wheat, Wheat Flour, Ground Corn, Ground Oats, Corn Gluten Meal, Dehulled Soybean Meal, Soybean Oil (preserved with Mixed Tocopherols), Dicalcium Phosphate, Brewers Dried Yeast, Calcium Carbonate, Menhaden Fish Oil (Source of DHA & Omega 3 Fatty Acids), Fructooligosaccharide, L-Lysine, Salt, Vitamin A Supplement, Vitamin D3 Supplement, Vitamin E Supplement, L-Ascorbyl-2-Polyphosphate (Source of Vitamin C), Thiamine Mononitrate, d-Calcium Pantothenate, Vitamin B12 Supplement, Choline Chloride, Manganese Proteinate, Iron Proteinate, DL-Methionine, Zinc Proteinate, Sodium Selenite, Dried Pediococcus acidilactici Fermentation Product, Biotin, Folic Acid, Lecithin, Mixed Tocopherols (a preservative), Yucca Schidigera Extract, Rosemary Extract.